A few days ago, I took a photo of the night sky in the mountains of Georgia with my DSLR. There, I noticed that one single star (in the center of the part of the photo that I added below) looks very different than all the other stars on the photo. Why does it have this white glow? 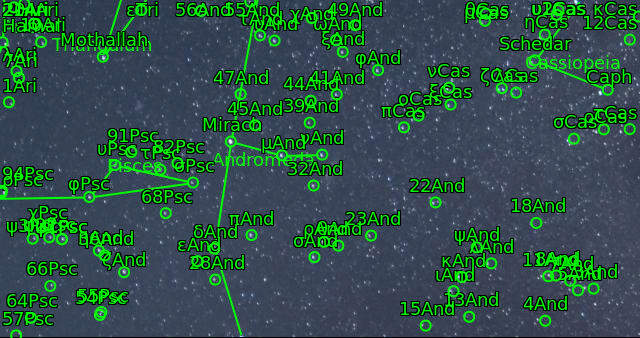 Astrometry.net has identified your star field as being part of the Andromeda constellation. The diffuse object in the centre of your image is the Andromeda Galaxy (Messier 31). The bright star to the left of it is Mirach (β Andromedae). 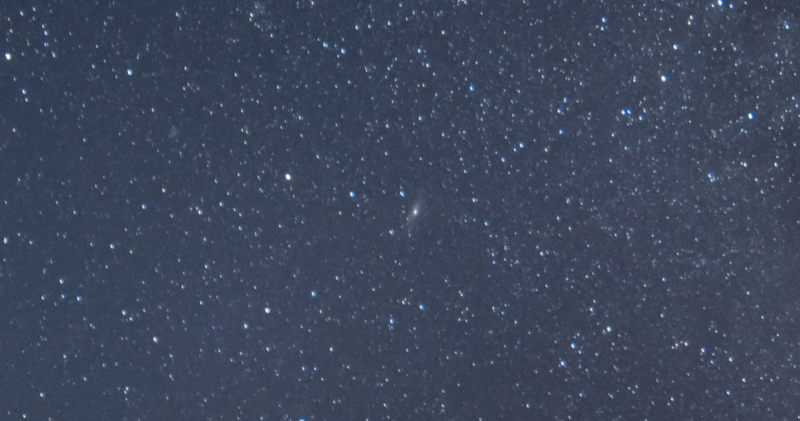 Given a reasonably dark sky and averted vision, it is possible to see the core of M31 with the naked eye. Since M31 is approximately 2.5 million light years away from us, it is one of the most distant objects that can be seen with the naked eye. Diametrically opposite Mirach to M31, and equidistant from it, is the Triangulum Galaxy (M33), although it is only just discernible in your photograph (even here, averted vision helps). If you can see M33 with your naked eye, then you have excellent vision and really dark skies. At a distance of 3 million light years, it is also one of the most distant objects that can be seen with the naked eye. Note that only the core of M31 is visible to the naked eye (as it is in your photograph). 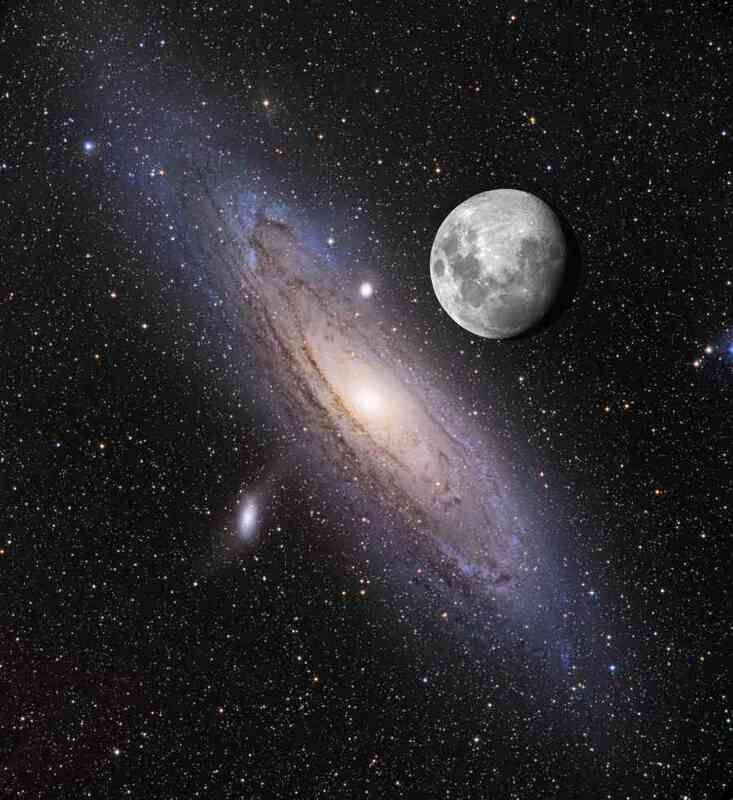 If M31 was brighter, the arms of the galaxy would be visible and it would appear to be several times larger than the full Moon, as shown in the composite image below. Not the answer you're looking for? Browse other questions tagged star amateur-observing photography night-sky or ask your own question. How to identify stars in photographs?